Invasive European Green Crabs unfortunately appear to have established a beachhead on the Olympic Peninsula. The Washington Sea Grant & associated Crab Team found 16 Green Crabs in traps off of Dungeness Spit recently. The impact on native shellfish and ecosystems is a significant threat to Puget Sound — as Eastern Seaboard populations have shown. There, the Green Crabs have damaged harvests of soft and hard-shell crabs, as well as other seafood. Among all Puget Sound recreational fisheries, the Dungeness Crab fisheries is both popular and prolific. Shellfish also represent a huge portion of both the Tribal and Non-Tribal Puget Sound commercial fisheries landed value. Sadly, this invasion could be the beginning of a very serious problem for Puget Sound fishermen of all types. Even worse, both Federal and State funding to simply keep the Sea Grant programs running is at risk. Here at Tidal Exchange we believe history shows that the return-on-investment for healthy ecosystems and conservation work makes them well worth funding. 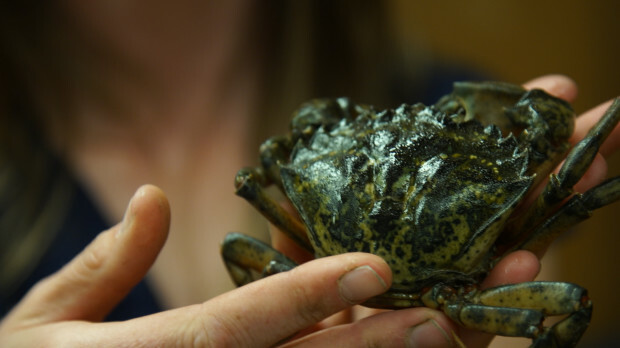 Be the first to comment on "Green Crabs Invade Deeper Into Puget Sound"